Do you have any alphabet stamps on hand? 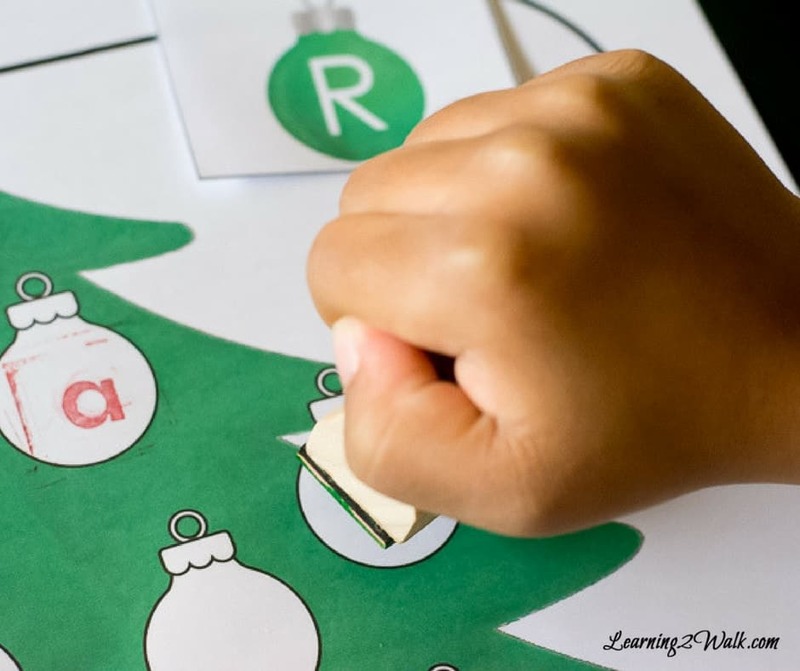 If so, this colorful quick and easy Christmas tree alphabet stamping activity is a perfect preschool letter activity! It was such a hit that I was able to tweak it a bit for Jael to work on her addition and subtraction families. Yup, this activity worked for both my preschooler and my first grader. I recently shared our simple way of homeschooling both my kids and its activities such as these that make it possible. Sure it was created for Caleb but I was able to adjust it for Jael and she loved it. 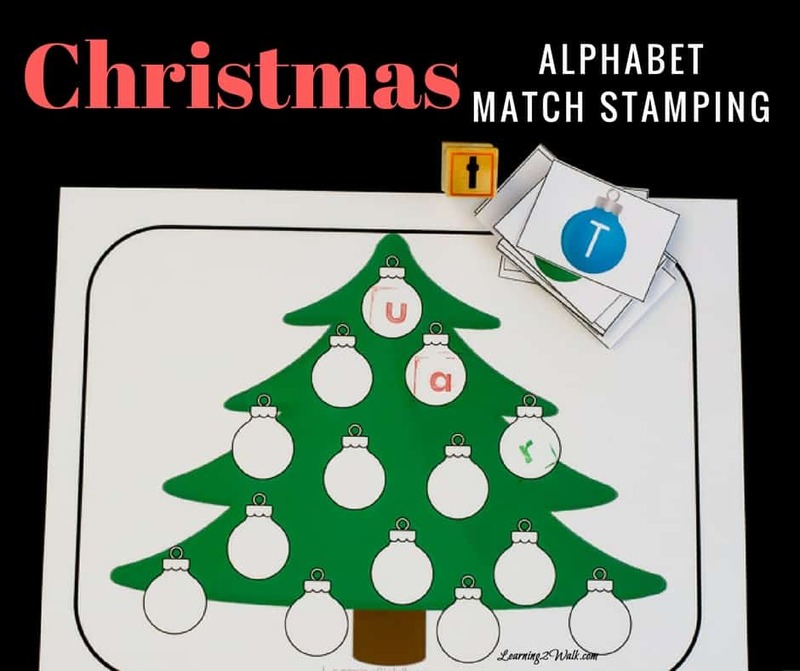 First, print a few copies of the Christmas tree alphabet sheet. This way, your child can go through all the letters if the alphabet a few times. Second, cut out the page with the alphabet ornaments and place them in a cup, bowl or basket. 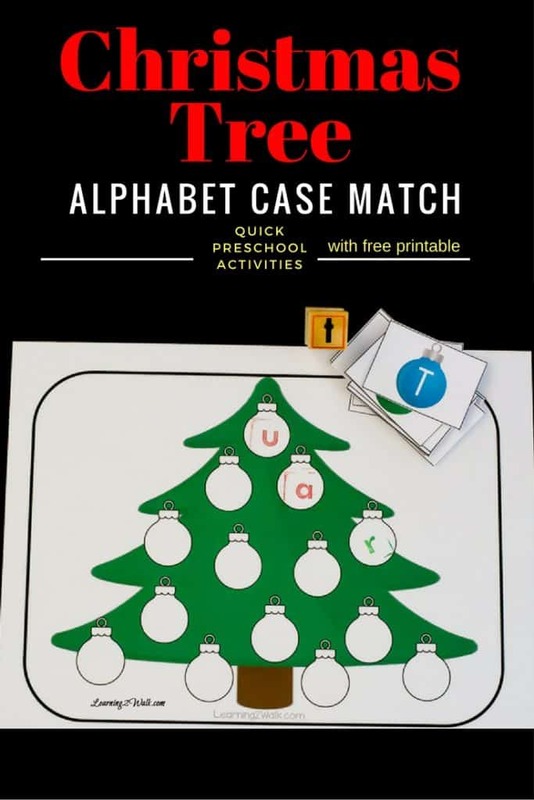 Allow your preschooler to pick an ornament alphabet card from the container. Have them say the letter (and the sound if they know it). Next, have them stamp the matching case of that card in one of the blank ornaments on the Christmas tree. For example, if they grab a card that says “G”, they should stamp “g” on the sheet. 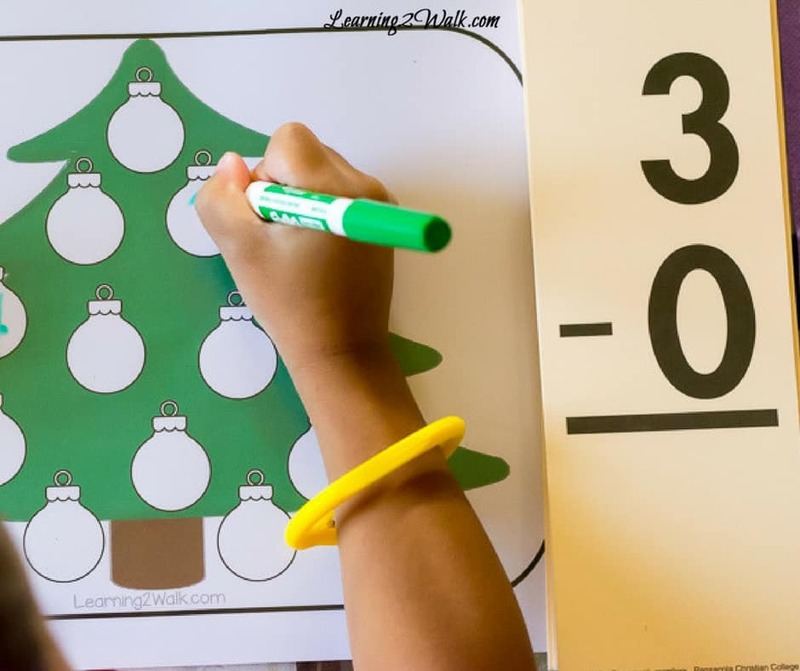 In order to allow Jael to work on her addition and subtraction facts, I printed the first sheet of the Christmas Tree pack and slipped it in a protective sheet. I then stacked her facts cards beside her sheet. She then picked the card on top, read it and then wrote the answer with a dry erase marker. She was also able to see if her answers were correct as these cards are self-correcting.